The sunny city of Perth is a great starting point for many kinds of day trips. While it may be one of the most isolated cities in the world, there is no shortage of attractions to see and places to visit in Perth. The city is a short drive from many various stunning natural wonders and lively hubs of activity. To make it easier for you to plan an unforgettable adventure, we have outlined some of our favourite places around Perth to explore that will make the best day trips. 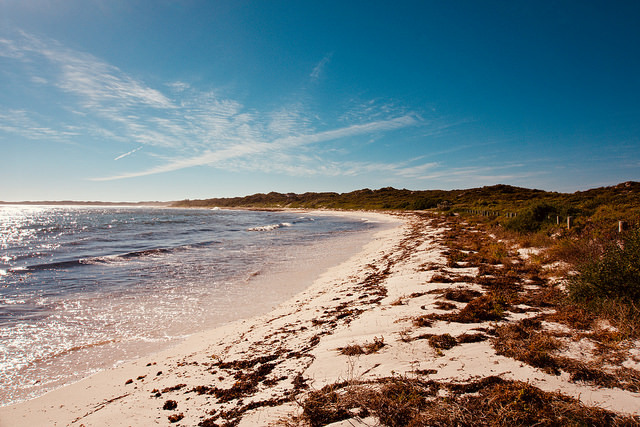 Travelling north is a great way to explore natural beauty and culture with the most common route being the road trip journey from Perth to Cervantes via Lancelin. With stunning beaches, national parks and welcoming coastal towns, there are plenty of family-friendly localities which include attractions for kids as well as unique scenic sites and fun activities to do that make great day trips for couples, groups and solo travellers. Going north means you will have plenty of scenic delights to marvel at on the car ride up. We have compiled our top recommendations of pit-stops along the way. 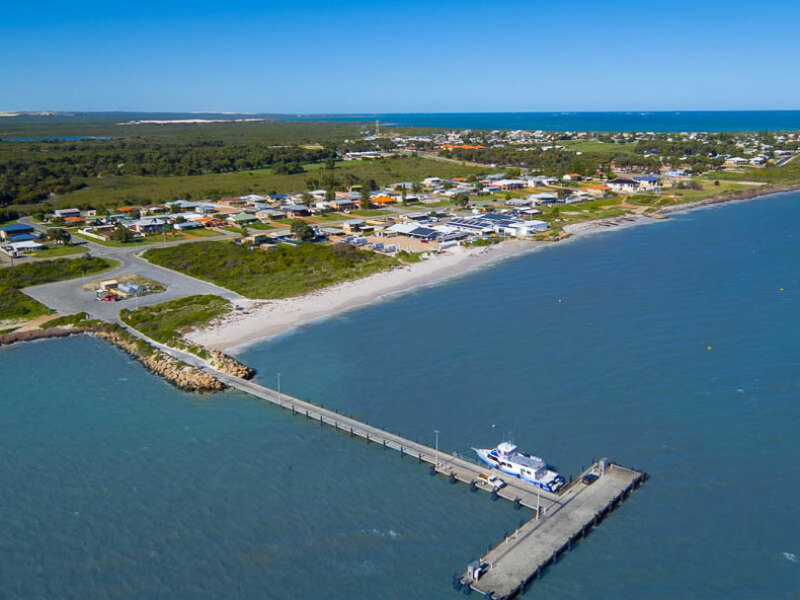 Lancelin is the fishing town located 127km north of Perth that is making a name for itself as a desirable destination for travellers of all ages. It is a location that overlooks the Indian Ocean and features extensive white sand dunes that extend for 2km. These dunes are the largest in Western Australia. The picturesque photo opportunities and appeal of sandboarding down the tallest dunes make it an ideal option for action-packed day trips for couples. Lancelin is great for whole families and on top of sandboarding and dunes tours, fun activities to do with the whole family also include fishing, stand up paddleboarding, surfing and diving. Hangover Bay is a great place for fishing, windsurfing, snorkelling as well as wildlife spotting – with its resident bottlenose dolphins and the occasional sea lion! Despite the risqué name, it’s a great place for families, solo travellers and couples to stop for a dip and with a bit of planning, you can set up a picnic or make use of the barbeque areas for a feast! 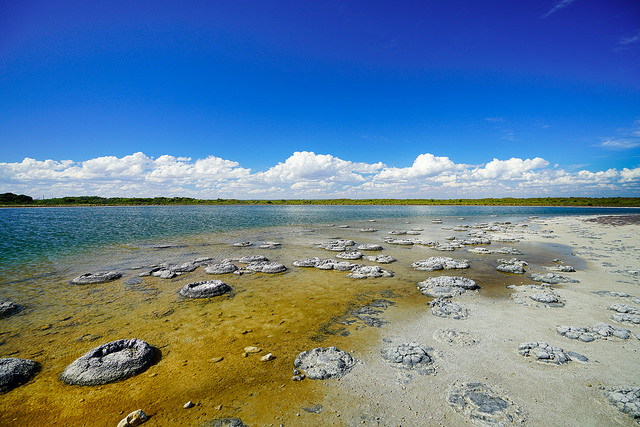 Located a short drive from the main stretch of Cervantes, the stromatolites scattered around Lake Thetis are a site to be seen! The stromatolites resemble rocky mounds but are actually living ecosystems that are created and home to many tiny micro-organisms too small to be seen by humans. The lake itself has a fantastic walking path of 1.2km, perfect to stretch the legs out after being in a long car ride. The Lake Thetis stromatolites have been dated an impressive 3370 years old! There are only a handful of living examples still in nature today which is why seeing these rarities in person is a very worthwhile little visit on day trips out of Perth for everyone. If you’re a family with small children you’ll just need to keep an eye on the little ones so they don’t disrupt the mini eco-systems while playing! 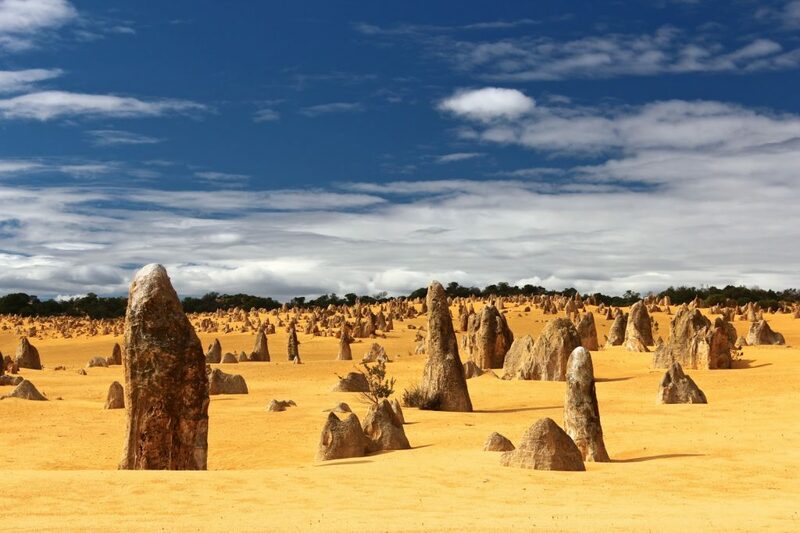 Endless sandy yellow dunes and grand, iconic rock formations; it is simply another world when you visit the Pinnacles. Located in Nambung National Park, this wild desert landscape sits on the very edge of the Indian Ocean. It is the ultimate spot to marvel at some of the most remarkable limestone pillars you’ll ever lay eyes on. This beautiful desert destination is suitable for everyone as long as you slip slop slap! The unique scenery makes it the perfect spot to capture some fun photos and make great memories of exploring the great outdoors, trying out sandboarding and if you’re travelling between July and October, appreciate the spring desert wildflowers that will be in bloom! No Cervantes-bound trip is complete without a trip to The Lobster Shack. It may seem like a quaint dining spot but this family-run business is so much more and over the years has become an institution for locals and travellers alike. 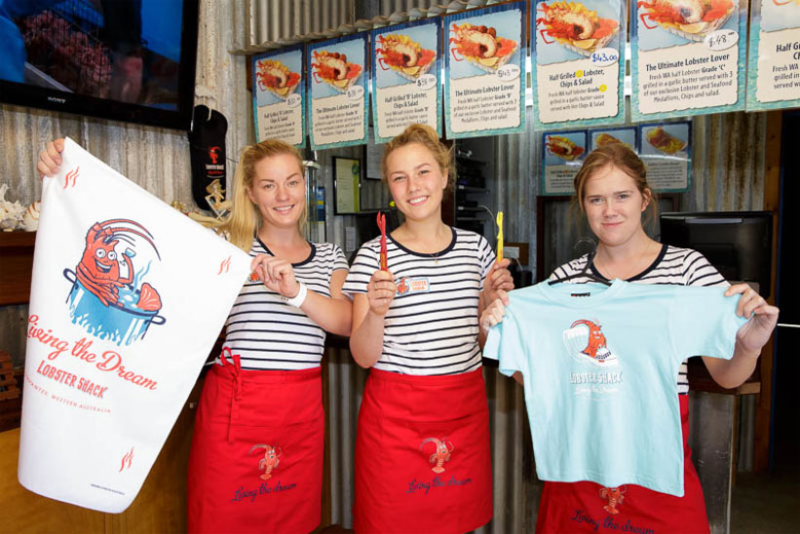 After soaking up the coastal views and refreshing ocean spray air from travelling or staying in this charming fishing town, you can indulge in a fresh lobster lunch and an educational tour of the local waters or get an understanding of the local industry at the lobster factory and processing plant. Cervantes is famous for famous for its dhufish, baldchin groper and pink snappers among other saltwater fish and with The Lobster Shack, you can try your luck at catching your own with their daily fishing charters. Of course, if you happen to be unlucky on your fishing trip, you can always enjoy fresh local seafood and lobsters prepared by the chefs from The Lobster Shack restaurant afterwards. The Lobster Shack also holds boat tours where you can view local wildlife like seals and sea lions in their natural habitats. The Australian Sea Lion is an endangered species found only in Western Australia and South Australia but Cervantes is lucky to be home to a small population of these gentle mammals. Cervantes is possibly one of the best day trips destinations available to those of us starting in Perth. A drive that is only 2.5 hours north of the capital city, it is really just a stone’s throw away. The coastal town marks the beginning of the Australian Coral Coast region, famous for its fresh seafood and clear, turquoise waters. Whether you’ve spent the day playing watersports at the beach, have been looking out for local sea lions or have spent the day at the Pinnacles Desert, sandboarding down the highest dunes you could find – Cervantes is the perfect spot to settle for a fresh seafood lunch or dinner. You can enjoy famous Cervantes lobster dishes, quality fresh fish and chips and locally sourced seafood platters all around town. Day trips around Perth are the perfect getaway plan when you have some free time or a day off from work. This city offers plenty of exciting destinations throughout its central areas and outer suburb and boasts options for families, couples and explorers! You don’t always need to have a full tank of petrol or spend hours on extensive overplanning to escape city life. You can appreciate the true beauty of nature by visiting Kings Park; the inner city botanical gardens. If you don’t feel like taking the car at all you can reach Kings Park via public transport or take your bike. The easily accessible gardens boast sweeping views over the city, an abundance of native flora and fauna, walking and cycling tracks for all skill levels and beautiful family-friendly parks. 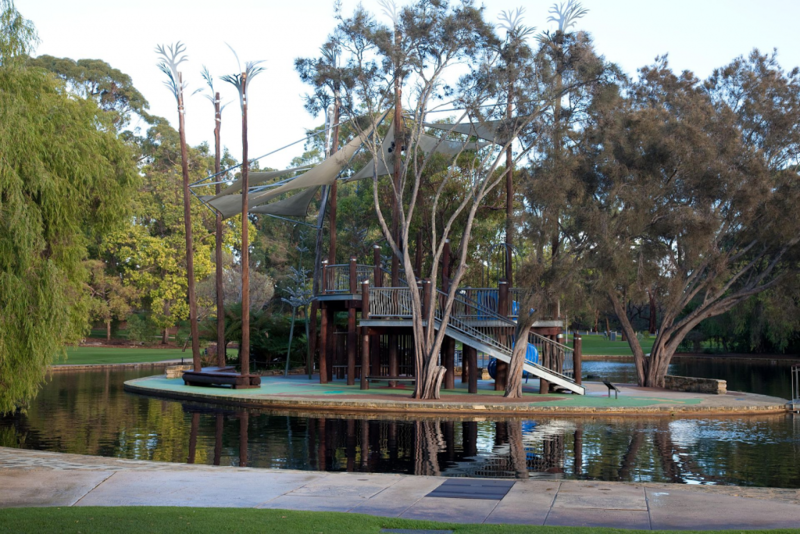 Kings Park and the botanic gardens are an important ceremonial and cultural place for the Indigenous people of Western Australia. There are many visitor services including education programs for school children, families and adults that honour and celebrate the history and cultural significance of the land. There are also traditional and contemporary artworks, cultural events and storytelling services. Here you can let the kids run wild in the fresh air at the play areas, learn about art, nature and culture with various kids and school programs and participate in all kinds of outdoor activities. 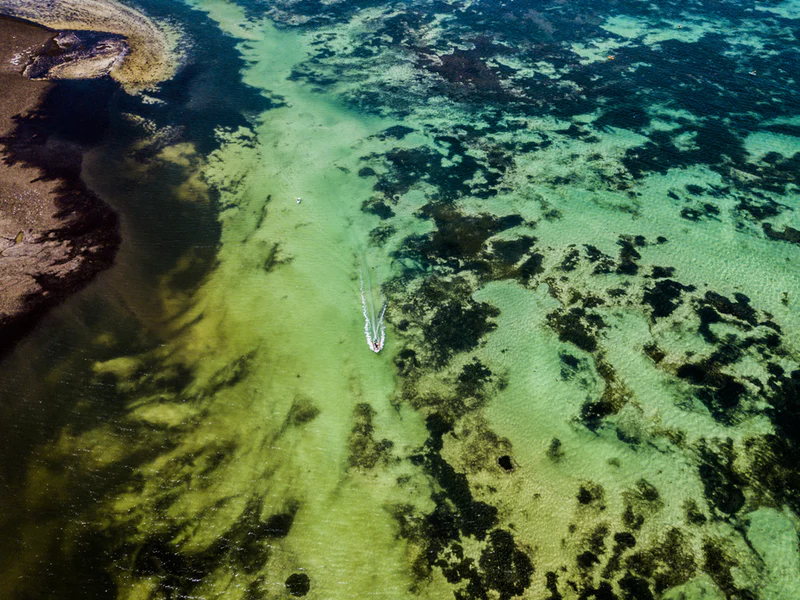 You can access Rottnest Island by air or by sea, with regular ferry trips being a common choice for the easygoing traveller. 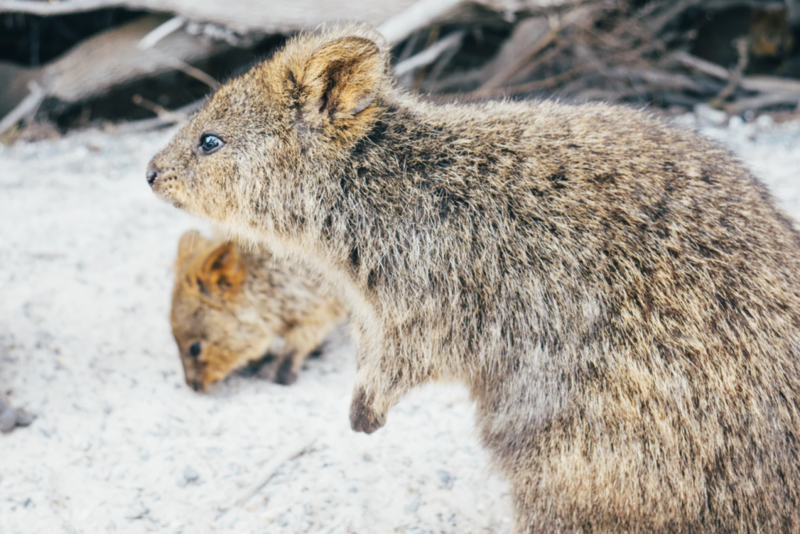 The popular island is a protected national park just offshore of Perth but what it’s most known for is its marsupial inhabitants that look like they are smiling – the quokka! For travellers of all ages, there are plenty of island tours where you can learn about the island’s unique habitat while exploring the surroundings by foot, coach or bike! The beautiful beaches are accessible to everyone, so once you’re on the island you can spend your day swimming and relaxing on the shore or keeping active and surfing or snorkelling. For family-friendly and kids activities, Rottnest is a gem with its Family Fun Park offering putt-putt mini golf and trampoline options for everyone. Travel east of Perth and it won’t be too long before you reach vast areas of natural beauty that make up some of the region’s renowned national parks, state forests and the mountains. Here are some of our suggestions of what a voyage into this side of town could look like for you. This historic district is located only 40 minutes from the city. Mundaring is known as the heart of the Perth Hills and is a great sanctuary for outdoor enthusiasts and art lovers alike. Try out the many walking, cycle short and long-distance tracks in the area. You can choose between walking or hiking more hilly terrain that is also home to native wildflowers and wildlife and includes checkpoint sites such as the wonderful Hovea Falls. Mundaring is a fabulous destination for families as there are numerous educational activities and attractions for kids that will also entertain mums, dads and adults. You can brief yourself or your family in the local history by visiting the Mundaring and Hills District Museum or No 1 Pump Station; a museum about the world’s longest freshwater pipeline. Mundaring is also home to a thriving art culture. Anyone who enjoys musing over intriguing new and local works can check out the galleries, theatre and local arts centre in the region. 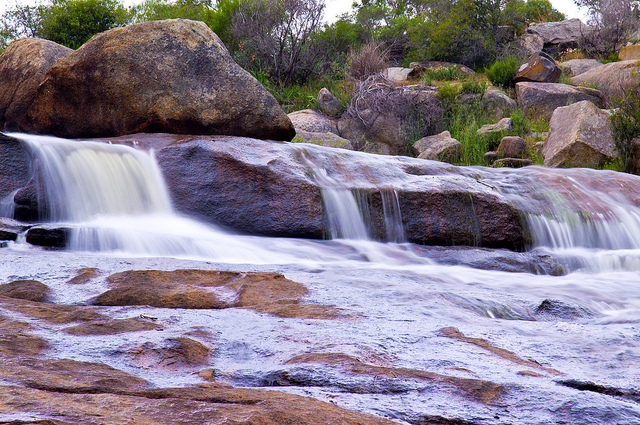 Located just a quick 25-minute drive east from the city, near Swan River, you’ll find the aptly named Swan Valley. 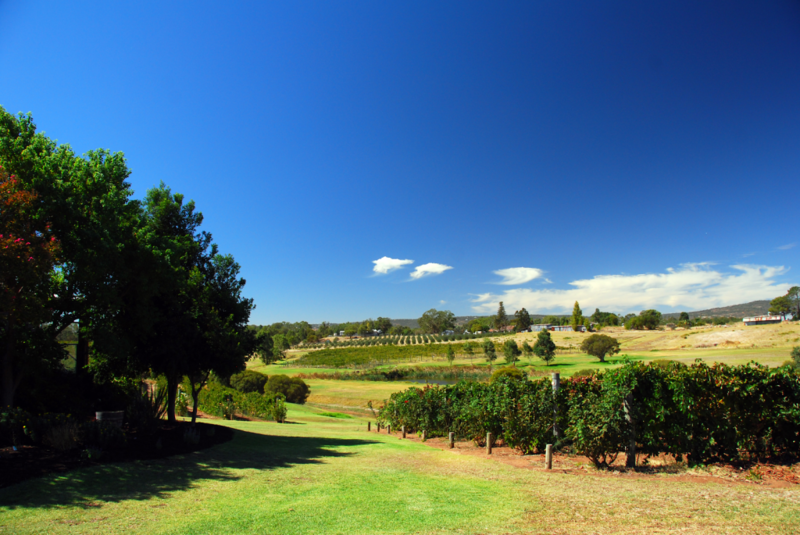 A historic vineyard region that is laden with some of the oldest vines in Western Australia; Swan Valley is a hot spot for artisans and those who enjoy their wares and produce. With some of the finest wineries, boutique breweries and fresh seasonal produce, it should be on the must-see list. The warm, giving climate and fertile land are the reasons why local producers have been fruitful for centuries and many artisanal crafts and winemaking practices have been perfected over generations. So for those who fancy a glass of red, we highly recommend dedicating a day exploring the region, check out the local produce or get pampered in the valley’s tranquil spas, immerse yourselves in a winery tour and get to know some of the 20+ Swan Valley grape variants! Everyone, including families, can entertain their taste buds with the region’s famous homemade ice cream or while visiting Swan valley’s own chocolate factory! Then, with all that extra energy, you can blow off some steam running, swimming and enjoying the amusements and waterslides at Outback Splash, a water park fit for people of all ages. The west coast of Australia is iconic for one main thing: our magnificent sunsets over the seemingly endless Indian Ocean. Start the ultimate self-drive tour along the metro coastline of Perth, running from Fremantle up until North Beach. 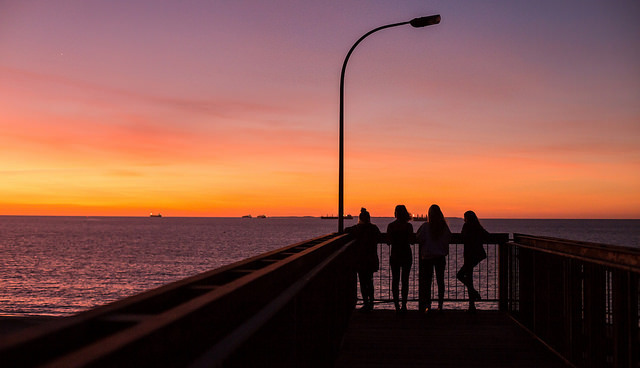 We recommend stopping and watching the sun dip below the horizon at Cottesloe for the ultimate Perth experience and a beautiful way to farewell the day. We believe that Perth is one of the best locations to start and end an epic day trip because there is so much choice of what to do. Whether you are a family looking at attractions for kids, a couple looking for a getaway from the city, retired and looking to get pampered or visit somewhere new, you are spoiled for choice. How many of these attractions will you fit on your upcoming day trip?